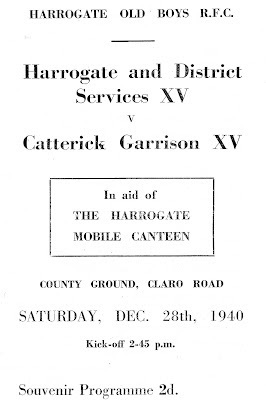 Richard Lowther, who produces the excellent newsletter remembering Wakefield RUFC through memorabilia called 'Burglar Bill, sent me a copy of this programme. 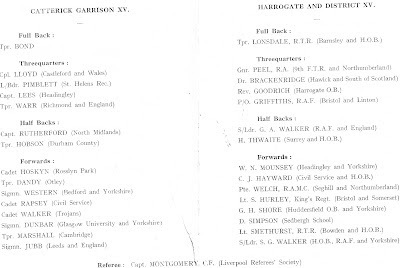 There were many representative fixtures played during World War Two raising much needed funds for a variety of local charities. 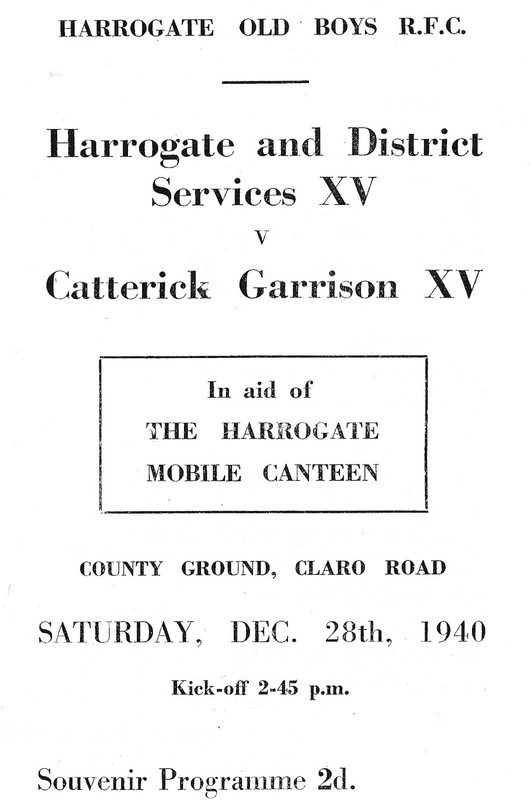 The provision of a mobile kitchen was obviously a priority in Harrogate. 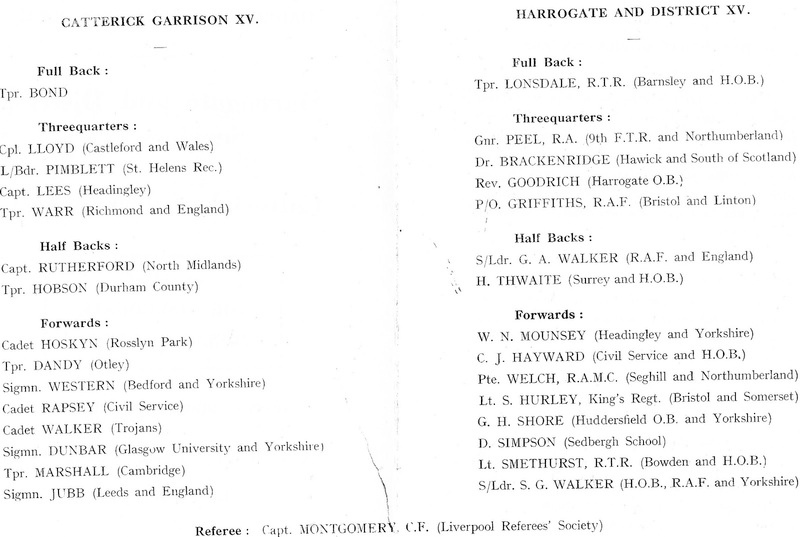 The Catterick Garrison XV was one of the strongest Services XVs in 1940 and as you can see from the teams below Catterick was able to field a side that included international's from both codes. Unfortunately, Richard Lowther obtained the programme after 'Let Them Play By All Means' had gone to print and so I was unable to use it in the book. I am therefore grateful to Richard for allowing me to use the programme in this article.